MAKE YOUR ROOM THE FRAME FOR A UNIQUE PIECE OF ART. 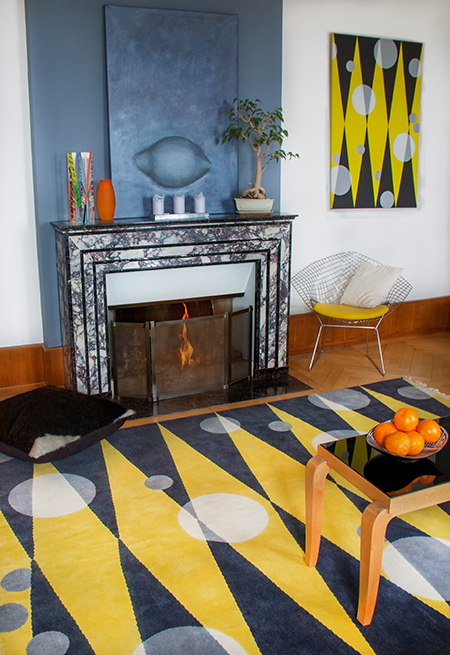 The Carpets CC Showroom is in constant motion with updated work and new carpets being displayed every other week and a permanent exhibition featuring Cecilia's work, conveys bold colours and geometric shapes for exploration and appreciation. Stunning geometric designs painted in acrylic on canvas. Unique pieces of art to adorn your home. Cecilia's unique designs transformed into art for your floors. Limited edition carpets to make your space uniquely yours. Commission Cecilia to create one off pieces in line with your vision to design something truly exclusive and sought after. Born from Cecilia's imagination and by the inspiration she finds around her. Stunning, one off works of art that transcend fashion and trends. At home in any home, whether Contemporary, Old World or Middle Eastern. These pieces speak volumes and bring rooms to life. Transforming unique designs into limited edition hand knotted carpets. Crafted by hand in India by a diligently selected partner, chosen for quality and care, these beautiful, colourful creations take your room and make it the frame for a truly exceptional piece of art. Every design is produced in limited numbers up to a maxiumum of 10, ensuring each piece will be the talking point of any room. 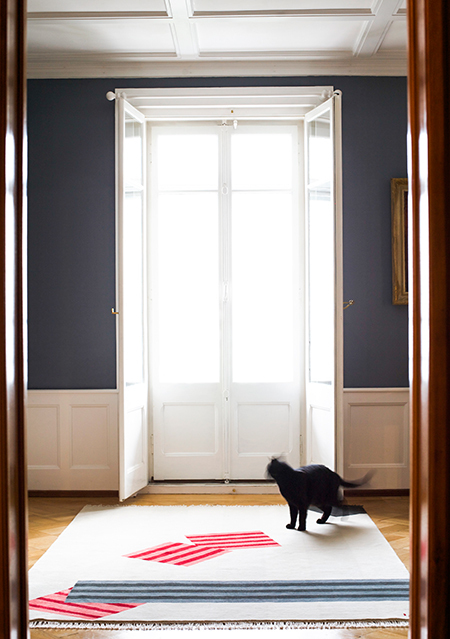 Bring life, colour and exclusivity to your home or space with these numbered limited edition carpets. Are you an interior designer or an interior enthusiast - then work with Cecilia to create bespoke pieces for your space. Always ensuring the integrity of her designs, Cecilia will work with you to finalise colours, shapes and sizes for carpets and cushions. If you want to be truly unique and to own an exclusive piece of art, Cecilia also takes on commissioned canvas work, basing the design around your vision but in keeping with her own elusive style and pulling from her own inspirations. Investing in a Cecilia Setterdahl piece will bring colour and inspiration into your life, your home, your space. We'd love to partner with you, so please drop into our showroom to review our pieces, send us a message or give us a call to discuss how we can help you create your perfect space.